It isn't just about Bundaberg anymore. Now there are distilleries launching their rums and sugar cane spirits all over Australia, bringing exciting new variety to the category and reinvigorating the local market dominated by gigantic local brands with big marketing budgets. The launch of products like these mark a new beginning in Australian history, taking rum production from large factory scale production to traditional artisanal rum production. 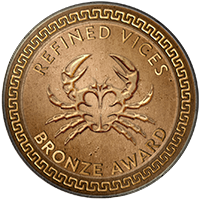 It is an important step in the right direction if Australian rum is ever to be taken seriously. The North Coast Bar Series Pure Cane New Make is the first expression in a range of Agricole rums produced by Husk Distillers and is made entirely in NSW Australia. Rather than distilling molasses, Husk opt to use freshly crushed sugar cane grown right at the distillery, with the harvest season being from August to November. The waste from the crushed sugar cane is used to mulch their rainforest plantations. The wash is fermented for 5 to 6 days in a temperature controlled, closed, jacketed fermenter and is slower than the average fermentation time at most distilleries. The yeast is propagated for 48 hours prior. The wash, when ready, is double distilled in a copper pot still that has an expansion chamber and a 10 plate rectification column. The spirit does not go through any chill or charcoal filtering and is all natural. 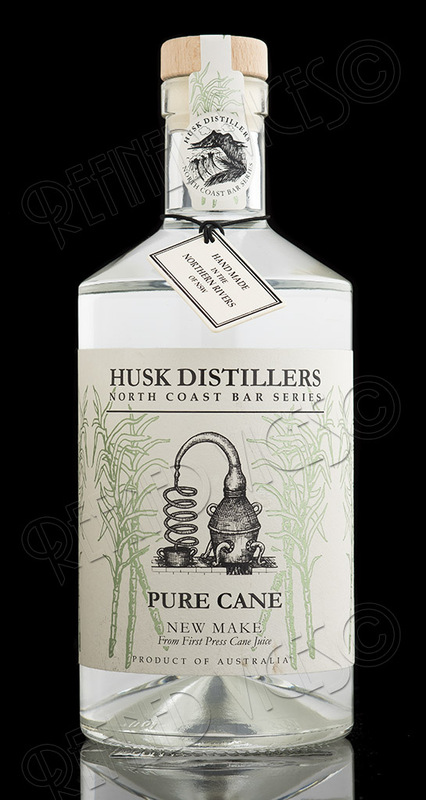 The Husk Distillers North Coast Bar Series Pure Cane New Make comes in a pleasant square shouldered, squat bottle with a parchment style paper label. The label on the neck has a small image of what I imagine to be waves crashing ashore the North Coast, evoking pleasant thoughts of surfing and sipping rum in a tropical paradise. The label has rustic imagery of a traditional pot still and its condensation coil and lovely, reflective green foil embossed sugar cane illustrations that bring the label alive in an otherwise black and white design. The label has all the critical information you'd expect from a product of this calibre; Address of the distillery, raw ingredient, production method and it also shows the harvest year, batch and bottle number and cane variety. For any other producers reading this rum review, this is exactly the kind of detail we love to see in bottles (as long as it's true and relevant) and it is a very nice overall touch, especially when handwritten like on this bottle. The closure has a wooden top but is synthetic otherwise and while I think a natural cork would be nicer, it does not lessen the presentation. Delightful and extremely vibrant, fruity and lightly spirited nose with strong brown sugar aromas. Concentrating on the aromas I detect some pineapple notes, sugar cane and very minor notes of liquorice and vanilla. Sweet, medium bodied and gently tingling with fruit and a mild curdling sensation accompanied by sugar cane notes that come through after whirling the spirit in the mouth for a while. The finish is average in length, very clean and dry yet has a somewhat sweet note of sugar cane, vanilla and liquorice. There is a slight bitterness from the alcohol that remains on the palate for a while. I am very impressed by this Pure Cane New Make sugar cane spirit that displays perfect balance of aromas and flavours from beginning to the end. 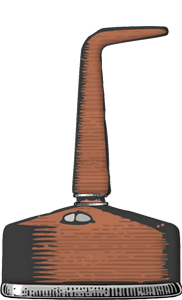 Though it is an Agricole rum, it does not display the same kind of vegetal or grassy notes as many of the Caribbean Agricoles do apart from the sugar cane notes. By all means is this not a negative but it is different.